Astonishing Ant Man was an All New All Different Marvel title that I was really excited to read and also really anxious to read. I had a love/hate relationship with the last volume of Ant Man. I loved the grounded tone the last series took and I liked that Scott is trying to be a better man. The thing I didn’t like about the last volume is how they handled Cassie Lang’s character. I am a huge Young Avengers fan and Cassie Lang is one of my favorite characters. 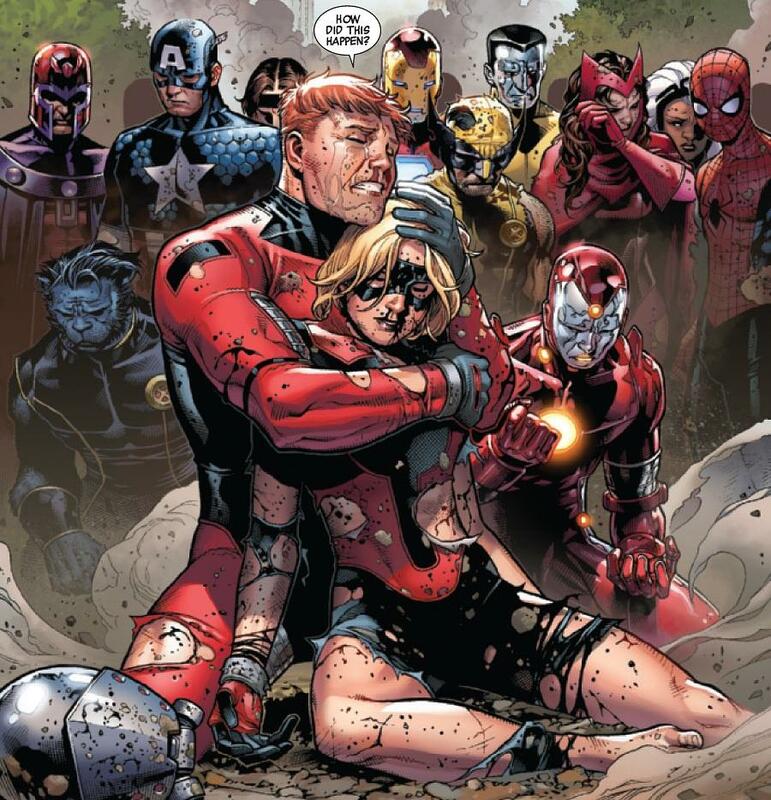 In 2012 during Avengers The Children’s Crusade Cassie sacrificed her life and died a hero. Earlier this year Nick Spencer brought Cassie back in his series Avengers World and brought her into his new Ant Man run. I loved Ant Man #1 earlier this year because of Cassie and Scott’s father/daughter relationship. It was a long time coming because when Cassie was Stature Scott had passed away and then when he came back to life Cassie had died. 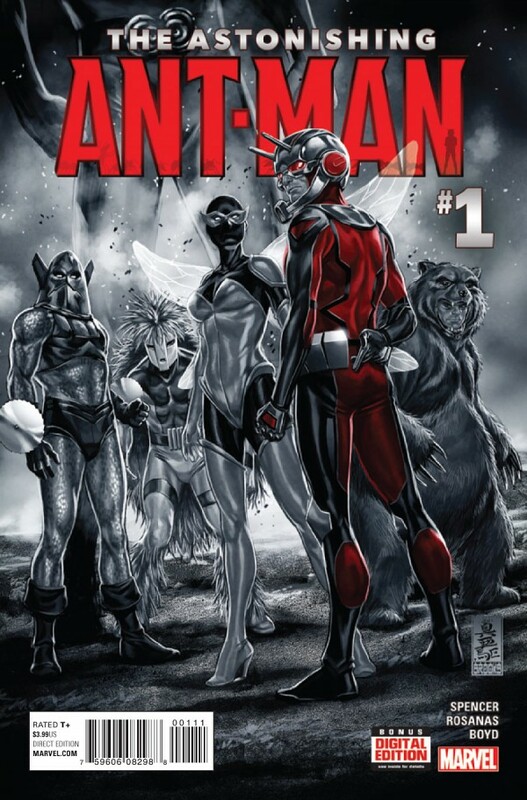 Ant Man #1 finally allowed Cassie and Scott to be together, something that both heroes had fought for in the past. The series continued and never explored Cassie’s side of the story. She was pushed to the side and by the end of the run even became a damsel in distress. 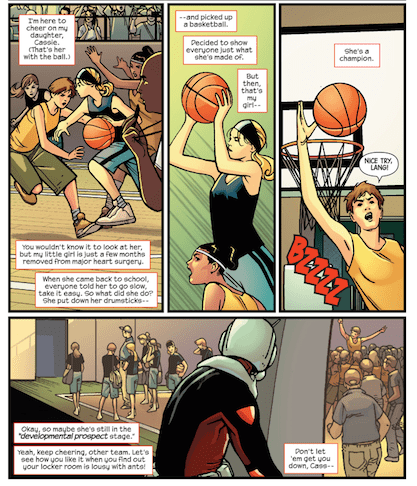 This leads us into Nick Spencer’s current run of Ant Man, Astonishing Ant Man. 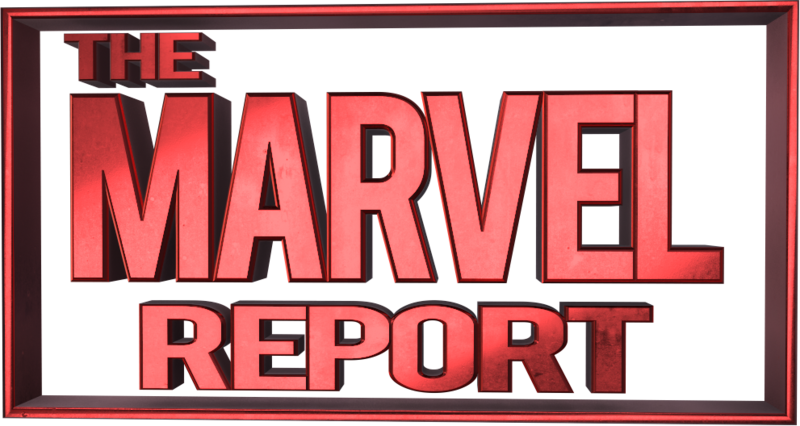 This issue, like most of the All New All Different Marvel titles, begin eight months after the events of Secret Wars. Scott is finally finding some success with his new security company, and is ready to work with one of the biggest museums and performing arts centers in Miami. Scott is very close to getting the job. Scott has found a lot of success, but he is also dealing with the sacrifice of leaving his daughter. Scott believes with his superhero endeavors he is putting Cassie in too much danger so he has been parenting from a far. Cassie is not so happy about this and for the first time ever she doesn’t look up to him but is disgusted by him. 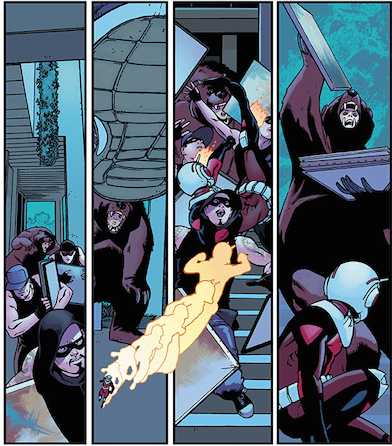 This issue also gives a glimpse at Darren Cross the big bad from the last volume of Ant Man. He has developed Cassie’s Pym Particle abilities because of the events from the last volume. Now he is trying to adjust to his new life and is still trying to scheme against Ant Man, who he finds to still be a big threat. First I want to talk about the positives for this issue. I like that Scott is still trying to be a good guy, but bad luck always tends to follow him. It makes for fun antics in this issue. For example, Scott is so close to getting the job with the museum, but of course the police officer he has to work with hates him. Detective Blake Burdick, unlike the movie, has never liked Scott and has always hated superheroes. He even had a grudge against Cassie when she was a hero. Now this leads into the negative with how this issue handle’s Cassie. Something I really wanted with the last volume of Ant Man was for Spencer to mention Cassie’s past and they finally do that here, one step forward. But this issue also did something I most feared, it depowered Cassie because of her heart transplant in the last volume. This takes the series two large steps back. This issue took a lot away from Cassie, her powers and the hope she always had in her father. This one issue of Ant Man stripped away Cassie’s years of development. 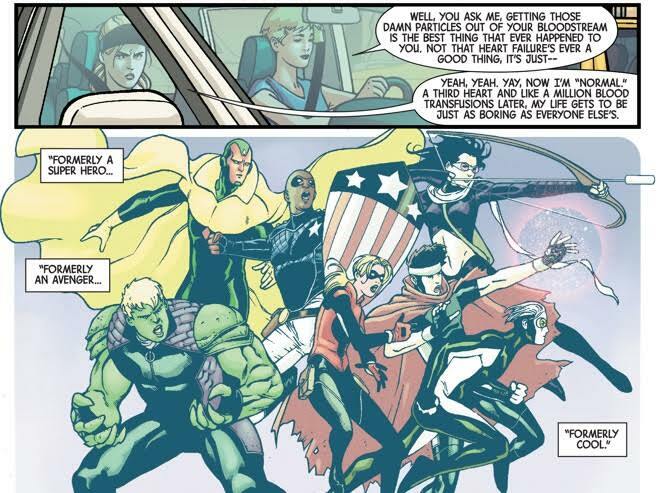 When we first met Cassie in Young Avengers she looked up to her father, and would do anything to be like him. Now depowered Cassie thinks her father is a deadbeat. I hope with issues to come I will see the bigger picture, and maybe this will be the start of a new journey for Cassie. Sadly, I have a feeling that this was done to put more of a focus on Scott, which makes sense because it’s his series, but I feel a lot of Scott’s character had to do with Cassie. So why push her to the side? Why can’t she still have powers? She doesn’t have to be a hero. Her death is a perfect reason of why she would want to quit the hero game. Just don’t make her a damsel. Don’t make Cassie a plot device. I think her character deserves more than that. I really do like the art style for this book. It is really grounded and I love the creative ways Rosanas uses Scott’s powers. I was especially impressed with the opening action scene where Scott uses his powers and it overlaps into the next panel. I also really liked the fashion in this issue. Cassie’s basketball clothes was really cool and I loved that Blake looked like a Miami Vice character. This issue introduces some interesting plot lines, but they are hard to look forward to with the continuous disappointing portrayals of Cassie Lang.